Shy and retiring police detective Wayne Dobie (Robert DeNiro) – ironically nicknamed “Mad Dog” due to his gentle nature – has a chance encounter one evening. During a liquor store hold-up, Wayne saves the life of Frank Milo (Bill Murray), who it later turns out is a local influential gangster. As a form of gratitude Milo sends a gift to Wayne in the shape of Glory (Uma Thurman) for Wayne to have “fun with” for a week. After reluctantly accepting, Wayne finds himself falling in love and determined to save Glory from the control and ownership of Milo. Director McNaughton begins this film with excellent use of black and white bursting into colour with the smoke of a crack-pipe during a drug deal. With this edgy beginning it looks like we will be treated to another gritty urban tale like his previous films. However, as the story progresses it transpires that it has a gentler tone than first expected and verges, at points, into romantic comedy territory. Despite this shift in tone, though, it soon becomes apparent that it’s not really gelling with the genuinely dangerous situations and characters involved. It can’t quite seem to decide what genre it wants to be in and there’s also an uncomfortable message of glorifying macho behaviour that runs throughout. DeNiro’s shrinking violet is never really accepted until he displays his macho potential and all the other male characters walk around with chests puffed and fists clenched, leaving the females – primarily Thurman and the underrated Kathy Baker – nothing more than cowering damsels in distress. That being said, you still have to admire it’s off-beat chutzpah and refusal to be pigeonholed. What it certainly has in it’s favour is a plethora of superb performances; casting Robert DeNiro and Bill Murray against type, is a stroke of genius and keeps things very interesting indeed. David Caruso is also brilliant, reprising his confident, tough cop role that he done so well on the Tv show “NYPD Blue”. These fantastic performances are what make this film standout and worthy of some attention. It’s hard to be overly satisfied with it’s different tones and uneasy balance with humour and crime. But even though it’s not entirely successful, it’s at least ambitious, does things differently and benefits from a cast that entirely committed. This entry was posted on November 8, 2013 at 12:30 pm and is filed under Comedy, Crime, Drama with tags 1994. You can follow any responses to this entry through the RSS 2.0 feed. You can leave a response, or trackback from your own site. How in the hell did I miss this one? I swear I’ve never heard of it and I love cast! Great write up and I’ll be sure to add it to the list. I’m sure there’s quite a few who haven’t seen or heard of this one Cindy. It’s a bit of a sleeper. It’s not perfect but worth seeking out for the cast alone. Good review Mark. This is a strange beast of a flick, but I really found myself involved with it. It was a little funny, a little romantic, a little sad, a little violent, and just altogether, a solid movie. Cheers Dan. Yeah, it had a little of everything going for it didn’t it? I didn’t find it’s blend of genres all that smooth but I still really enjoyed myself with it. Well said. Especially agree with you vis a vis the female characters. Thanks man. The female characters had little to do but it’s great actresses that still done well with their limited material. Another great review Mark. Cracking effort. Cheers Mark. This was an older review that I brushed up a little. Not my finest moment but still a film that’s worth spreading the word about. Oh my! I hadn’t even heard of this but DeNiro AND Murray? I’ve got to see this one, nice one Mark! Indeed Ruth. DeNiro AND Murray. They both play against type and it works a treat. The film itself is a little uneven but worth it for just them. Very cool! I’ll definitely try to seek this out. It would seem that it’s sneaked by many a person Al. A little sleeper movie that’s worth some attention. It has flaws but there’s still some good stuff here. I’m on it. Cheers for bringing it to my attention Mark. Very good review Mark. I have never heard of this film and by the looks of the comments I’m not the only one. This sounds like an entertaining film, with a genius combo. Cheers Chris. This was something I wrote ages ago but I dusted it off a little to bring it to some people’s attention. It looks like that has worked. Plenty of people seemed to have overlooked this. Check it out, man. It’s a good little flick. Nice review. Like some of the other commenters, I haven’t seen this before. 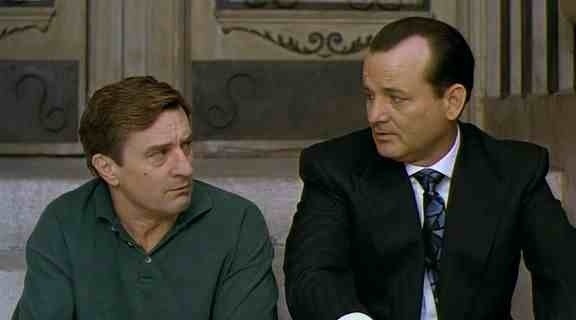 Love De Niro and Murray, so looks like I should check this out. Cheers man! I had a sneaky feeling a lot of people wouldn’t have seen this. It’s worth searching for. Decent little flick and, as expected, DeNiro and Murray are great. I’m not sure if I’ve ever heard of this one but it sounds very interesting, especially with two such well respected actors playing against type. It’s the “playing against” type that works in this films favour Abbi. Worth it just for that. Not even heard of this one man. Sounds like with its cast it should be a little better than it is, but still sounds like it might be worth a watch. Nice review sir. It is worth a watch, Chris. Tonally it’s a bit uneven but the story and the cast make up for that. Give it a go, man. 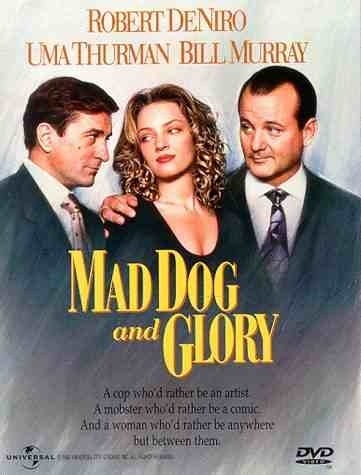 A film with Murray and DeNiro that I have not seen and it is directed by the sam guy that did Wildthings! I got to check this one out. Yip, yip and yip! All three are correct, Adam. It’s a decent little flick. Flawed but still got plenty to keep it going. I knew there would have been a few who hadn’t seen it but I’m actually getting surprised how little have even heard of it.